This program explores clinical research (including research basics, statistical methods, data collection, and study design) to ensure that participants can conduct clinical trials in an effective manner. 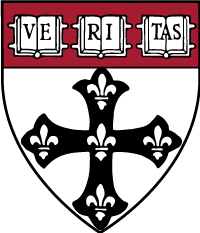 Principles and Practice of Clinical Research is a distance-learning program; weekly 3-hour interactive videoconference lectures are broadcast from Harvard to different sites around the world. The program has been carefully designed to create a very interactive platform to enhance learning through a highly collaborative method. By helping researchers improve their skills in clinical research in a highly interactive environment, this program will promote personal and professional growth and help participants become more effective in their work. The program covers topics from the basics of clinical research (such as how to formulate a research question, how to select a study population, and randomization and blinding methods) to statistical methods (data distribution and classification, statistical tests, sample size calculation, survival analysis, missing data, and meta-analysis); data collection, monitoring, and reporting (including training in manuscript writing); and study designs (observational studies, non-inferiority and adaptive designs, and randomized clinical trials). Additionally, the program aims to provide participants with an understanding of the issues involved in the design, conduction, analysis, and interpretation of randomized controlled trials of health interventions. Students will be trained to develop skills to scrutinize information, critically analyze and carry out research, and communicate effectively.